Come along to the garden from 11am on Saturday for our second annual Potato Day. Last year’s was phenomenally successful, we hope this year’s will be even better! 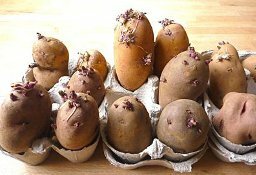 We have a choice of four varieties of seed potatoes for you to try this year, already chitted and ready to plant. Seeds potatoes are just 10p each, saving you a fortune in comparison to what you’d spend in a garden centre or seed catalogue. SWIFT – The Earliest Early! Very early to mature with good yields of attractive medium sized tubers. The foliage remains short in height, making it ideal for raised beds. Good for: Boiling, baking, roasting, chipping, salads. Time from planting to harvesting – 10 weeks. ORLA – The Grower Friendly spud! Excellent tasting, grower-friendly potato with high yields. The foliage grows to a medium height. Good for: Boiling, roasting, salads. Time from planting to harvesting: As Orla can be grown as a first early, a second early or an early maincrop; you can choose to harvest from 11 weeks for a first early, 14 weeks for a second early or 20 weeks for an early maincrop. 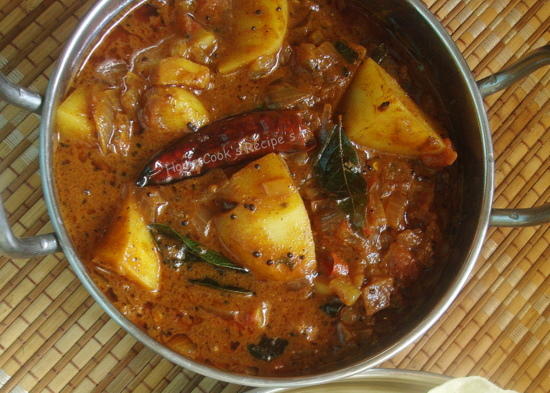 CHARLOTTE – the ubiquitous salad potato! Beautiful waxy potatoes with medium, high quality yields making it perfect for smaller areas of your raised bed. Foliage grows to a medium height. Good for: Salads – Charlottes are delicious hot or cold in salads. Time from planting to harvesting: Charlottes are Second Earlies, so will be ready to harvest in 14 weeks. RED DUKE OF YORK – the super-spud! Red Duke of York is extremely resistant to most of the common problems associated with potatoes such as blight, potato leafroll virus and the virus Yo. It is a vigorous grower, though its foliage remains short in height. Good for: Everything, and they make exceptional roasties. We will also have other plants for sale for your raised beds – the polytunnel team have been working their fingers to the bone to bring you a fabulous choice of your favourite vegetables and herbs ready to plant in your beds. Rock dust and Fish, Blood and Bone organic fertiliser are also available at just £1.00 per bag. We also have a selection of gorgeous perennial flowers for your gardens; all – as you’d expect – at incredibly low prices. Just as last year, we shall also be offering teas and coffees; and wonderful potato and leek soup and potato curry, so come along and enjoy lunch at the community garden and chat with your fellow gardeners as well as buying your plants and potatoes. If you would like to volunteer to help out at this event, please do not hesitate to email bothwellcommgarden@yahoo.com or email our secretary Anne Ballantyne – thank you!